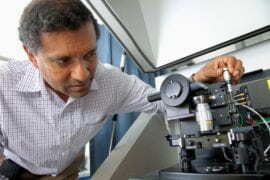 UCI is Orange County’s second-largest employer, with 16,400 faculty and staff working on campus and at the UCI Medical Center and affiliate clinics. Its diversity model infuses richness and nurtures strength in the workplace, focusing on respect for all human differences, including age, culture, ethnicity, race, country of origin, linguistics, gender, socioeconomic status, education, religion, sexual orientation and ability/disability. 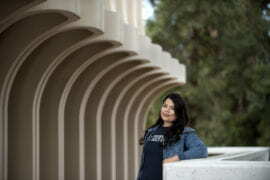 From active diversity talent acquisition outreach to employee development emphasizing respect, communication, interpersonal skills and career growth, UCI strives to build and sustain an environment devoid of discrimination and marked by inclusion. 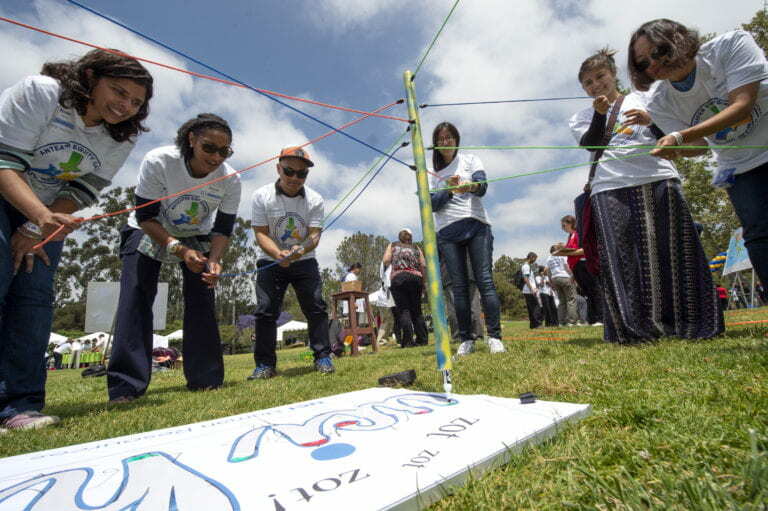 “UCI understands and embraces the contributions people from different backgrounds and ideologies can bring to the university,” said Ramona Agrela, UCI associate chancellor and chief human resources executive. “It’s about more than just hiring with diversity in mind. Maintaining excellence through diversity requires the development of an environment and workforce free from discrimination and harassment. 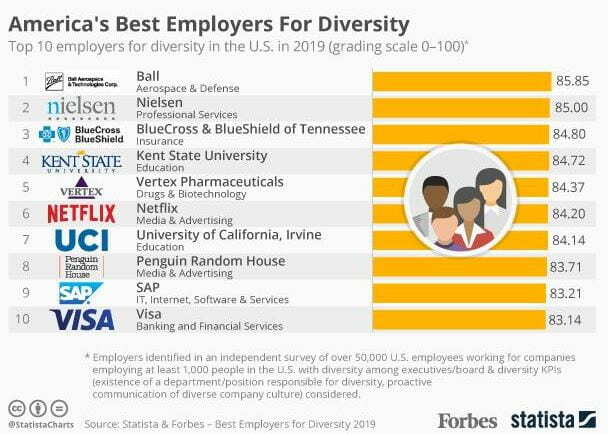 It’s about ensuring that all employees feel supported, valued and a sense of belonging.” Forbes partnered with market research company Statista for its second annual ranking of the U.S.’s best employers for diversity. The 2019 list was compiled by surveying 50,000 Americans working for businesses with at least 1,000 employees. All the surveys were anonymous, allowing participants to openly share their opinions. Respondents were asked to rate their organizations on equality in various categories, as well as on general diversity.